​Hodes Vision Optometry is a participating network provider for the VSP PREMIER PROGRAM. This program offers VSP members exclusive bonus offers and discounts, advanced eye care services through the use of high tech retinal image technology and HD Prescription Lenses, and a wider selection of brand name frames. Choose the Premier experience and see the difference!!!!! We are pleased to welcome you to our optometry practice!!! We would be delighted to have you and your family as our patients!!! Hodes Vision Optometry was designed to create an atmosphere that relaxes you and makes you feel comfortable from the moment you walk in. Our goal is to make visiting the eye doctor a pleasant experience for patients of all ages. 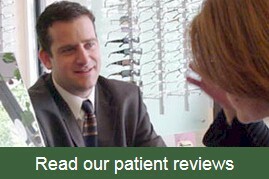 Our friendly optometrists and staff will assist you during your visit and answer all your eye care questions. Your child's eye care is very important to us too!!! 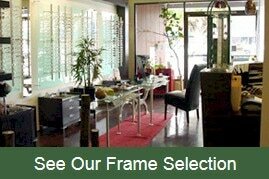 We provide eye exams for infants (6 months and up) and children and have a great selection of stylish kids glasses. Our child friendly exam rooms are designed to evaluate sight in patients of all ages, even those who are too young to talk and tell the doctor what they see. We participate in the InfantSEE Program and provide a NO-COST comprehensive eye assessment to all children between 6 and 12 months of age as a public service.